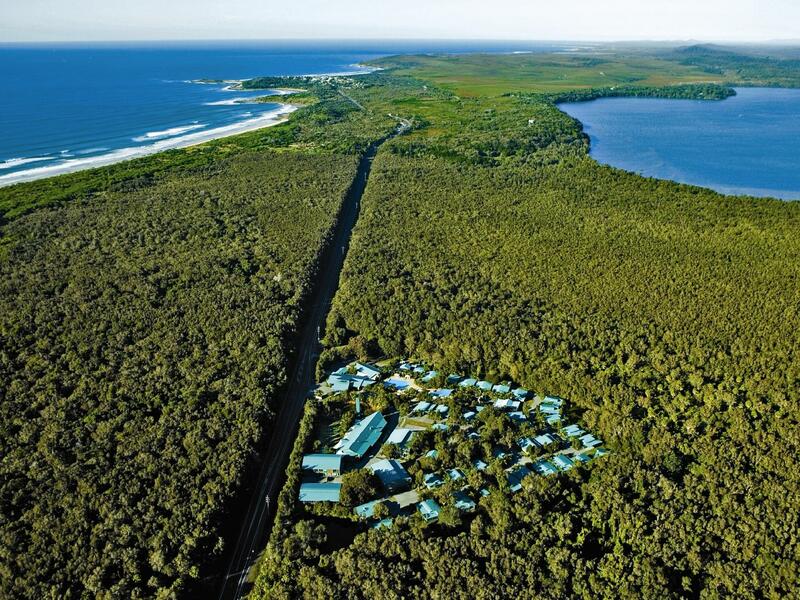 للمسافرين الذين يرغبون أن يعيشو كل ما تقدمه يامبا, Angourie Rainforest Resort هو الخيار الأمثل. يسهل الوصول إلى هذا الفندق ذو 4.5 نجوم من المطار، فهو يبعد عنه مسافة 60 km فقط. إن سهولة الوصول من الفندق إلى المعالم السياحية الشهيرة الكثيرة في المدينة كمثل ‪Yamba Museum‬, Yamba trading co, ‪Kitchen To Table Pty Ltd‬ هو استثنائي بحد ذاته. استمتع بالخدمات الراقية والضيافة التي لا مثيل لها بهذا الفندق في يامبا. إن مرافق مخصصة لذوي الاحتياجات الخاصة, واي فاي في المناطق العامة, صف السيارات, خدمة الغرف, رعاية أطفال هي جزء فقط من الخدمات التي تميز Angourie Rainforest Resort عن باقي الفنادق في المدينة. يمكن للنزلاء الاختيار من ضمن مجموعة من الغرف المصممة بعناية لتعكس جواً من الراحة، والتي يتجاوز عددها 66. يمكنك الاستمتاع بالأجواء المريحة التي تقدمها مركز للياقة البدنية, حمام سباحة خارجي, سبا, تدليك, نادي للأطفال طوال النهار. مهما كانت أسبابك لزيارة يامبا، فإن Angourie Rainforest Resort هو الخيار الأفضل لإقامة مثيرة وممتعة. A great relaxing break. Spacious apartment with large outdoor area. Fantastic pool and pool bar serving great cocktails and pizza. Short drive into town and Angourie beaches etc. Friendly staff. Only 5 mins drive into Yamba which had beautiful beaches, yummy cafes & restaurants & cute shops for a browse. Restaurant at resort was a bit pricey for us so the short drive into Yamba was perfect to get a feed. Cleanliness was poor. There were still dark hairs in the bathroom when we checked in. The fridge had not been cleaned out and smelt like off seafood. Simple things had not been done like dust on top of tv and fridge. Basic facilities - suspect nothing has changed in 10 years Surrounded by swamp and mossies', limited number of bbq's, cabins outdated. Expensive and didn't meet expectations, shame I was really looking forward to staying here. Rude staff, room on busy highway, distinctive odour as door opened and cigarette smells in kitchen.Add to this prissy attitude $30 towel deposit at pool and generally very disappointing for a resort.Although recent refurbish somewhat dated and very tight for a resort...nice pool no towels bar $5 hire are you kidding and $30 deposit.One towel each for stay towels must be hard to buy in yamba.When I complained about road noise I was told that went with the price i'd paid.My advice stay elsewhere even the pub is cheaper and better located!! The Resort is a little tired and the kitchen in the unit lacked equipment. Friendly staff, great facilities for us as a family with young children, great location. Just a bit more attention to detail with cleaning and it would have been perfect. I'd definitely stay there again. Amazing. Was a quiet peaceful stay. While we went without yhe kids we cant wait to take them back. Clean rooms and great location. the room was spacious and well fitted out. the decorations were tasteful. the staff were friendly and helpful. Wonderful - Accomadation was above expectations. The enviorment was bush like but not a country area so to speak. A very enjoyable stay. Good. Only problem was under stocked kitchen. All crockery used in 1 meal and then none left once dishwasher loaded. Shame to use half full dishwasher. I went for a wedding there. Was a great stay with friendly staff, who were always quick and willing to help. We had a beautiful room, except the spa was in the bathroom, right next to toilet, which was not great. But overall, loved the spa treatment and massage the best! I called up in the morning and I got a booking the day itself which was great! Everything was at your finger tips, clean and tidy, well maintained. Everyone was only to happy to assist you in anyway very friendly, especially a lady named Leesha she went over and above her duty to help us very friendly helpful lady.I have recommended the resort to my family for their annual holiday with the children.I will certainly be returning, we stayed at 4 different places from Yamba, Port Mcquarrie, Coffs Harbour and Tweed Heads and Angourie was definitely the best by far. We enjoyed our stay. We stayed in a spa apartment (not a villa) - self contained hotel style in an apartment block. The Villa's (where my parents & their grandkids stayed) definitely seemed nicer & gave you a sense of being closer to nature. We expected it to be a bit more Eco friendly as it is a Rainforest Resort, but there was not much evidence of this (solar panels, rainwater tanks etc). The Rainforest walk is quite short & was a mess - hadn't been maintained along the path etc. The pool area & kids playground were great! No problems whatever. Would certainly choose to come again at first opportunity.